Indonesia is enormous, with 17,508 islands covering about 1,192,700 square miles (1,919,440 square kilometers). The country has three time zones, and it takes more than 12 hours of flying time to get from one end of the country to the other. The Indonesian side of Timor is known to be home to the last remaining headhunting villages. Bahasa Indonesia is the national language of Indonesia, but there are more than 700 indigenous languages. Most Indonesians are bilingual—they speak their indigenous language as their mother tongue and Bahasa Indonesia for school and work. To Sabbath School teachers: This story is for Sabbath, Nov. 10. Editor's note: This is an update about Manado Adventist Hospital, which received part of a Thirteenth Sabbath Offering in 2012. Every year, Jay takes several weeks from his busy schedule as a physician and the president of the Indonesian hospital to lead an evangelistic series. He encourages his hospital staff to do the same. Doctor Jay Tombokan has found that public evangelism keeps both him and his coworkers united in their mission of treating patients and preparing them for Jesus’ return. 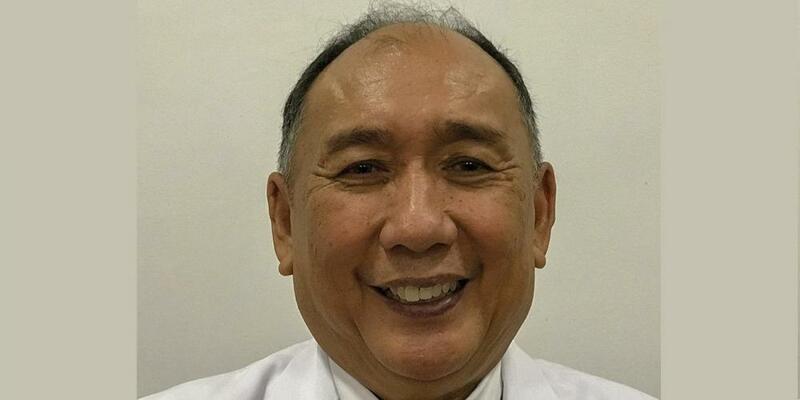 “Evangelism is my breakfast and my lunch,” Doctor Jay said in an interview in his office at Manado Adventist Hospital, a 150-bed facility on the island of Sulawesi. The hospital’s 2017 evangelistic campaign, organized in cooperation with local conference, resulted in 69 baptisms. Another 53 people were baptized in 2016. Only doctors preached at those two series of meetings. That changed in 2018, with the hospital expanding to three campaigns: one led by doctors, a second led by nurses, and a third led by hospital administrators. “We need unity before we treat the outside world, and we become united in our vision when we participate in public evangelism,” Doctor Jay said. That was Doctor Jay’s experience as president of Bandung Adventist Hospital on the Indonesian island of West Java. In five years, 4,000 people were baptized through that hospital’s evangelistic meetings. The Adventist Church operates four hospitals in Indonesia; the other two are Bandar Lampung Adventist Hospital and Medan Adventist Hospital, both on the island of Sumatra. Manado Adventist Hospital had 50 beds when it opened in the church union’s former headquarters in December 2007. With the help of a Thirteenth SabbathOffering collected in 2012, the hospital expanded to 150 beds in 2013. Doctor Jay said the hospital faces a serious shortage of qualified full-time specialists, particularly doctors. It has 384 staff members, 90 percent of whom are Adventist, and it cares for 700,000 patients every year. Doctor Jay, who moved to the Manado hospital in 2015, never expected to work for the Adventist health system. An OB/GYN doctor, he worked for seven years for the government but then faced a Sabbath conflict. He left his job and was soon hired to work at Bandung Adventist Hospital, where he made public evangelism a major part of its outreach efforts. Doctor Jay praises public evangelism as a way to not only share the gospel but also to strengthen the faith of hospital workers. His staff members preach or participate in free medical clinics and health seminars offered simultaneously with the evangelistic meetings. “When we go outside and strengthen others, the benefit comes directly back to us,” he said. The Manado hospital itself has four chaplains, and they oversee a dynamic spiritual program, including two Weeks of Prayer every year, a 10-days-of-prayer initiative, and daily morning worship in every department. Nine patients were baptized in 2016, and two more were baptized in 2017. Thank you for your mission offering.